Clean white sand and sounds of the seashore abound at Stinson Beach, a low-key place north of San Francisco great for picnics and playing in the water. A string of kitschy shops and markets line Highway 1 as it runs through town, making a trip to Stinson peaceful for you, yet interesting for your baby, toddler or child. 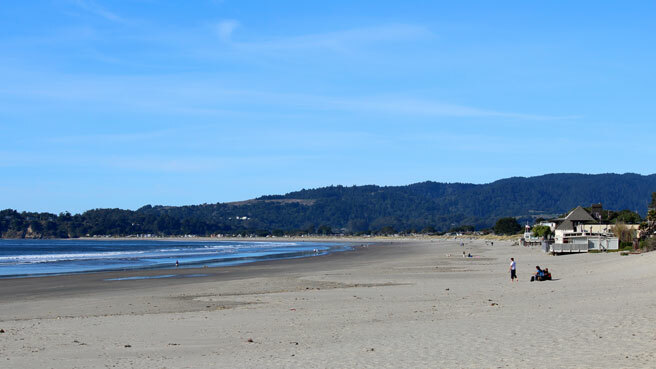 Atmosphere: Stinson Beach attracts kids of all ages that enjoy wading in the calm waves and building sandcastles on the wide beach. The picnic area and playground next the parking lot gives road-trippers a nice place to relax after driving the winding highway. Parking and Entrance: Park in the free lot and walk the short pathway to the beach. The main entrance has a 2-foot tall cement step down to the sand. Nice Walks and Views: Catch a glimpse of Mt. Tamalpais and Point Reyes National Forest as you walk along the sand with baby in her carrier, peering into the verandas of beautiful vacation homes. Activities for Toddlers: Your toddler has room to run here on the wide, 3-mile long beach, where he can play without ever getting near the water. For your curious bird-watcher, check out Audubon Canyon Ranch, a bird preserve and research center. (4900 Shoreline Highway 1). Bathrooms: Bathrooms and showers are on the beach side of the parking lot. 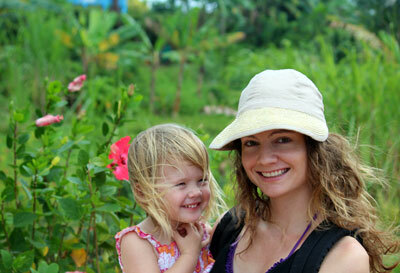 Perks for Parents: Serious hikers and mountain bikers will want to try some of the trails in Mt. Tamalpais State Park. 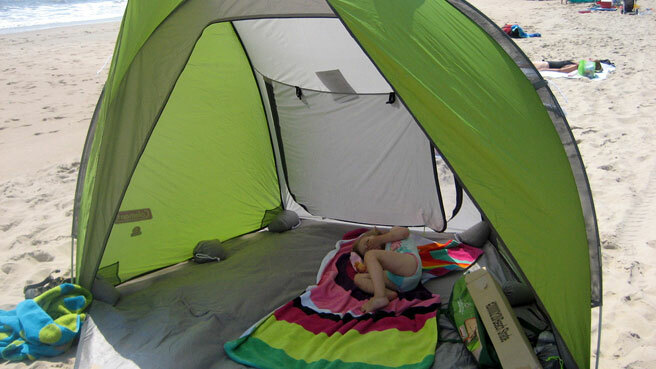 Where to Stay with Kids: There are only a few motels and inns in Stinson Beach, and the Sandpiper Inn is family-friendly with outdoor seating, fridges, microwaves and board games to play. (One block from the beach, 1 Marine Way.) Vacation homes also line the beach, if you are willing to spend more money. What Else to Do: Hiking and biking in Mt. Tamalpais State Park or nearby Muir Woods, Audubon Canyon Ranch’s Griffin Preserve, shopping along Highway 1. 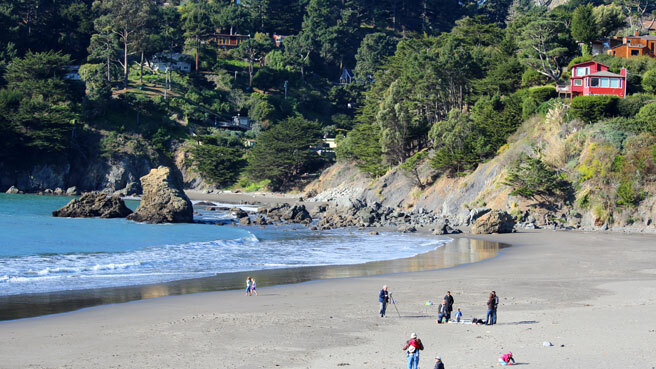 Travel south to Muir Beach for a serene day trip.